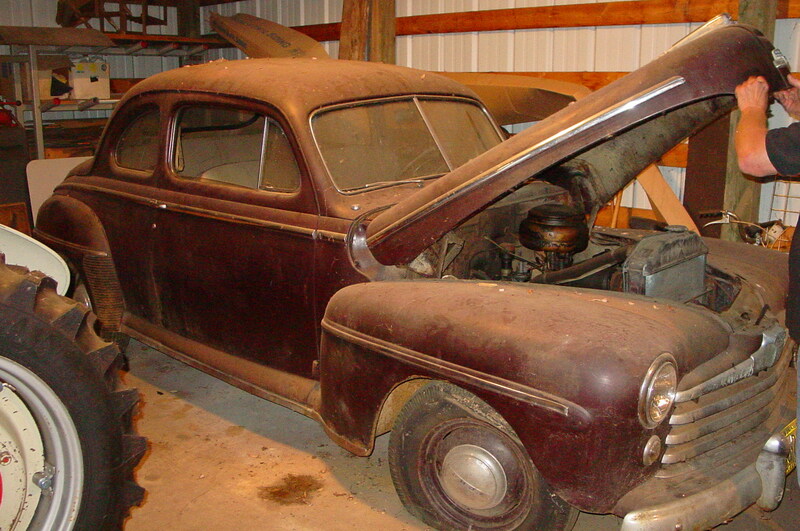 SOLD 1948 Ford Coupe. This car has been in storage since 1969. At that time it was driven in and the engine had oil put into the cylinders. All of the trim is there and in very good shape. The interior in complete and in fair shape. There is also a Ford visor that is in the back seat. The body is in excellent shape for the age, with a few rust spots.